Snapchat is still a hugely popular social network, and one of its more popular features is Bitmoji. It's a fun digital avatar you can use to convey your mood, where you are and what you're doing. It's become a cornerstone for parent company Snap, and now it's letting Fitbit in on the fun too. Fitbit is bringing Snapchat's Bitmoji to your wrist with free new watch faces for the Ionic and Versa. The watch face will dynamically update throughout the day, and your Bitmoji will use new animations to tell you what's going on. There are a number of things your personal Bitmoji can do. It'll wave when you start your day and go to sleep when it's time for you to sleep. It'll also react to your activities, so if you hit a fitness goal, it'll throw confetti. If you sit in one place for a long time, maybe binge watching TV, it'll relax. It's like a Tamagotchi for your wrist, but one you feed with steps. It'll also react to the weather, so if it's raining outside it'll hold an umbrella. And yes, it'll mirror what activities you do. So if you're running on a treadmill, it'll run on a treadmill. If you log some food, it'll turn into an avocado (this is clearly the weirdest one). Fitbit says there are a number of other hidden animations you can find, too. We're hoping it'll carry around Fitbit Badges when you acquire them. All of this works with integrated APIs from both companies powered by Snap's Snap Kit developer platform. While it may sound a little silly, it turns out that these little avatars can have a significant impact on people caring more about engaging with their wearable. James Landay, a computer science professor at Stanford, explained to Wareable last year that once people figure out health routines, they can abandon wearables because they believe they've figured it out. 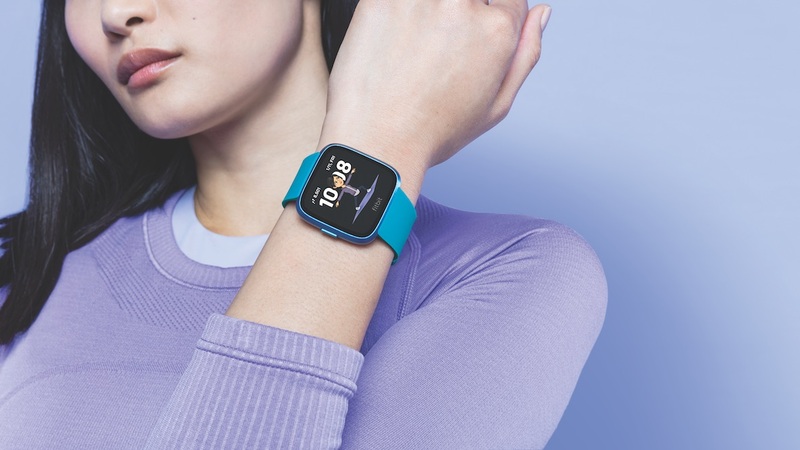 One potential way for wearable companies to combat abandonment is through fun games or incentives. That could be as simple as the Apple Watch's Activity Rings, or as silly as seeing and finding cute Bitmoji animations reflecting your actions. Seeing as how Bitmoji has kept people on Snap's platform, it's likely Fitbit thinks the new watch face will bump or maintain engagement on its popular smartwatches. Plus, it gives it a leg-up in attracting a younger crowd. The new Bitmoji watch face is available to download now.